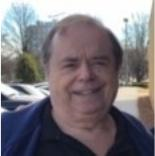 Obituary Notice for Lee Allyn Heckman | Pepper Funeral Homes & Cremation Facility, Inc.
Lee Allyn Heckman, age 69, of Morrow, GA, passed away April 30, 2018. Lee was born on May 20, 1948, in Towanda and moved numerous times throughout his childhood with his family. He graduated high school in North Carolina and college with a degree in Pre-Med from North Carolina State University. Following graduation, he joined the Peace Corp and served two terms in Africa helping to eradicate Smallpox. Later he traveled Europe prior to returning to the US where he worked in Chicago. He relocated to Atlanta in the 1970’s and worked as a Manager until his retirement. His great love was sports and all Atlanta teams, as well as his beloved North Carolina State teams. He was preceded in death by his parents: Harry James and Mary Edna Snyder Heckman. He is survived by his sister: Sylvia (Mike) Adair of Albuquerque, NM; niece: Barbara Ann Henderson (Tim Krenik) and their son Kyan; Nephew: Benjamin Allyn (Dallas) Henderson; his paternal uncles and their families; numerous cousins; and his many friends. He is also survived by his “second family,” Samantha Rubin, Malcolm Richardson, and their extended family in the Atlanta, GA area. A memorial service was held in Georgia. A grave-side memorial service to honor both Lee and his mother, Edna, will be held at the Grover Cemetery on Monday, November 12, at 10:00 a.m. with Rev. Laura Kyler officiating. The Pepper Funeral Home and Cremation Facility, Canton, is assisting the family with arrangements.